I must be blind, I followed the steps up to 5 and nothing happens..? 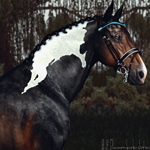 sweetsorrowsims When you do this tutorial there's no inmediate visual change. You need to go to the weight panel and see if they are transfered. How do you know nothing happened? Your bones should be presented as a list under the "Vertex Groups" heading. 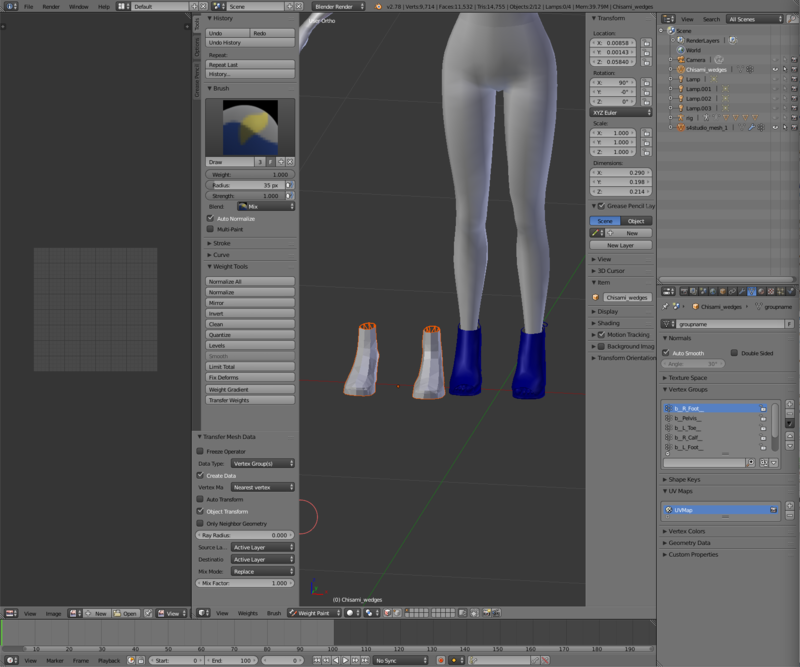 I'm trying to use this method to transfer weights from a EA mesh of wedges (shoes) to a custom mesh of wedges. The EA Mesh has 7 joints that need to be transfered to the new mesh. 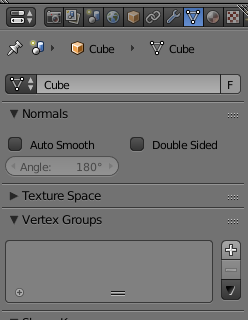 I followed your steps till 5; I can't seem to find the 'group' and 'replace' tab... maybe this looks different now in blender version 2.78? When I select the EA mesh, then the custom mesh and click Transfer Weights I get a window that looks different? The EA mesh is on the left and the custom one on the right. 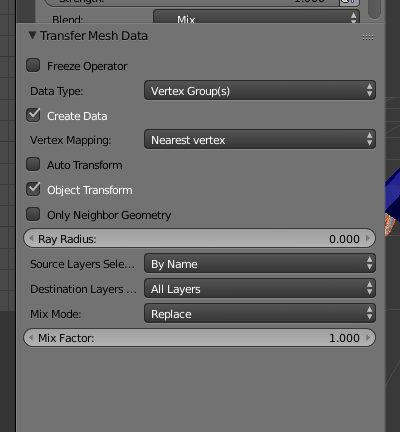 When clicking transfer weights only 1 joint gets transferred from the EA mesh (first one). when I check 'show weights' in edit mode the particular area stays blue. I thought I might have to add the 7 groups manually first to the custom mesh the be able to transfer the weights from the EA mesh to the custom one. Also no luck with that. I'm running out of ideas so I was hoping if you could tell me what i'm doing wrong? I followed this tut by orangemittens till step 17. I first tried to add them all manually but noticed that with assigning the entire mesh gets red, at all 7 groups. I looked at the EA mesh and noticed that only the described area (example B__R_Foot__) 'lights up'. Then I picked up your mini tut. This might be a important part of info; the custom mesh is not yet attached to the 'model'. Could this affect the transfer weights process? I could not use the append option in blender because the custom mesh was a OBJ. 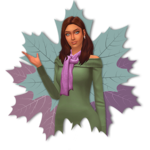 file (sims 3 to sims 4). Therefore I thought I just walk through the rest first to see if I hit other major walls (like this one). Also, the position of the custom mesh didn't match the EA mesh. I had to separate left and right and join the again to make it fit like the EA mesh. Renorasims The only weights that will get red are the ones that take place in the part of the body your mesh is. For example, there many EA items that have random weights that have nothing to do with that area. Like b_pelvis, this should not show anything in your shoes, since the pelvis has nothing to do with the shoes. Don't worry about them. About the only transfering one joint, that is because it has changed in Blender 2.78. You now need to play with the settings a bit. I already answered this in a Creators Help thread. I will quote it here anyways. Also, the meshes must be into each other as far as I know for it to weight properly. 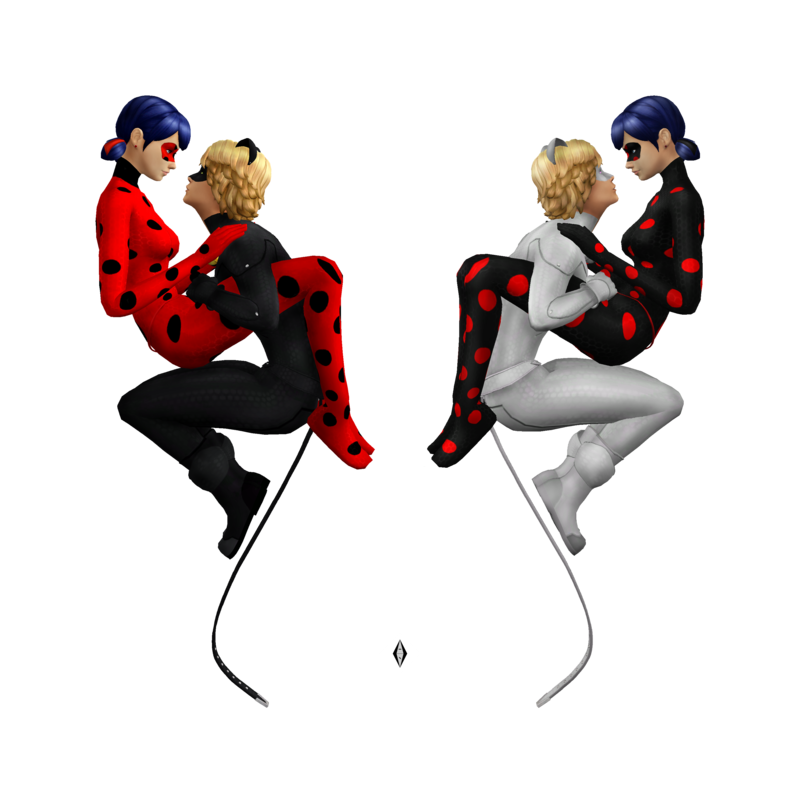 As shown in the tutorial. Try to overlap them as much as possible. Mmm not really... You can do this, I just found it. In the left open the transfer settings and set "Destination Layers Matching" to "All layers"
and "Source Layers Selections" to "By Name"
Hi Mathcope, thank you for your fast reply! The Pelvis joint got me a bit lost so thanks for clearing that up! I'm so sorry! I searched all over the internet for this and looked through the tuts but forgot to look at the creators help section! Gonna try this for the transferring weights part! I am not able to transfer weights from the S4S mesh to my mesh. It also looks severely wonky in game. I went through each tutorial, step by step and still am unable to transfer weights and bones :( do you know what could be causing this? I am also stuck with step 5 and after. I did everything till step 4 and I tried to make a bow tie from a necklace. The necklace was original orange coloured and the bowtie now is part green and blue. I do not know what to do further actually. Could someone help me? 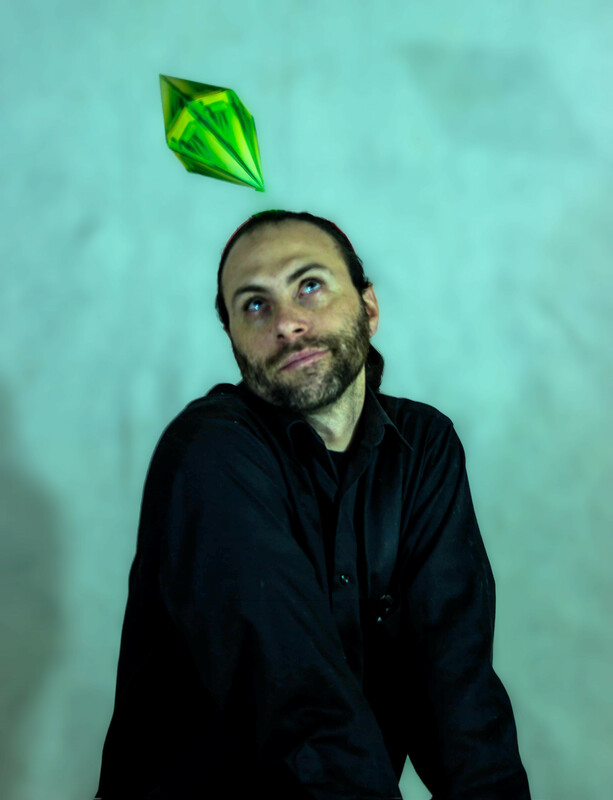 Hi fursims ! What original object have you used for transfer weights from? Also, are you sure you're checking the same bone? Hi, thanks for answering. I choose the neck choker with spikes mesh. The only bone that is weight painted is the neck, cause the bow tie is only connected on the front and not around the neck. Dont know if that matter. If you need more clearification on the subject, i can open a thread about it. Im kind of stuck now not knowing if im doing it right. Couldnt find the right help in the tutorials..